Last month, bloggers James Stewart Jr and Steve Kwon of Detailed Block announced they were refocusing to exclusively cover Charlotte’s startups. The result? Well, a ton of posts about startups for one, which is definitely an important asset for a growing startup community. This week they announced an effort to expand upon their new focus: a quarterly report detailing Charlotte’s startups with insight as to their health. We will release a report on a quarterly basis showing the number of new high-growth startups, a complete list of startups and infographics about how Charlotte startups are progressing along with other interesting characteristics of the ecosystem (births, deaths, clusters, etc). We’ve posted our first report below with a full list of startups and a chart which shows the development stage of each startup based primarily on funding. We also take customer acquisition, product visibility and company size into account. General descriptions of each stage are included on the chart in order to give context and are not meant to be universal or one-size-fits-all. Check out Detailed Block’s Startup List, and follow along for future updates. 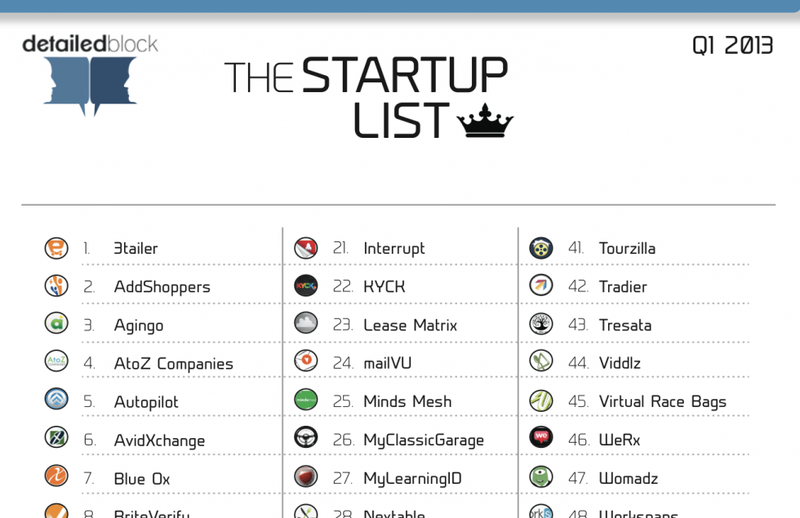 Thank you for sharing information about The Startup List!